A Crime against our History? It’s clear to me that the love of steam in general, and the GWR in particular, is not entirely rational. In fact, it definitely comes from the heart not the head and this was amply demonstrated this morning as I opened my copy of Steam Railway magazine. The subject of the article jumped out at me and I am not exaggerating to say that it was an almost physical shock. What are I referring to? – it was the news that Ashburton station is now within the grasp on a bunch of developers who wish to do… something horrible … that will obliterate it forever as almost the only survivor of THE quintessential GWR branch terminus. An architectural crime against our history is about to unfold – unless we can stop it. In 1969 I was just about to start my A-levels and I spent 2 glorious weeks on the newly re-opened Dart Valley Railway (as it was then). One day, having cleaned lovely small prairie No 4555 the previous day, I was invited by the driver to ‘pop down to Ashburton’ on the footplate. At that time the line up from Buckfastleigh to the terminus in this lovely little Dartmoor town was intact and the threat of the ghastly A38 monster was still an evil glint in the eye of a road planner. So off we went, arriving at Ashburton with a couple of wagons and a toad. 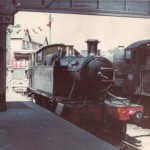 In the shed at the time was 7827 Lydham Manor without its tender (it was always going to be too big, wasn’t it?). I can’t remember what we did but I know we took water from the column and set off back, little knowing that this was to become an all-too-soon memory, as that awful road carved up that beautiful and irreplaceble branch line. 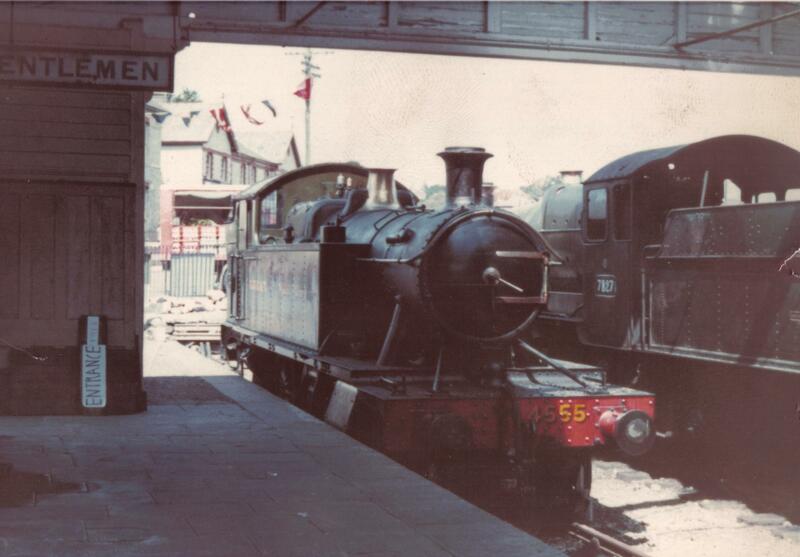 It was always going to be tough going for the South Devon Railway (as it later become) after that. Not only were they deprived of access to Ashburton as the gateway to Dartmoor and more tourist traffic, but it desecrated the ambience of Buckfastleigh and, although it is still a lovely line, I feel they have been making the best of a bad job ever since, as far as Buckfastleigh is concerned. So Ashburton station become cut off but at least it has survived – until now. I think I read about 10 years ago that it would be impossible for the line to get back there but only at huge cost (a tunnel under the A38, amongst other things) and the SDR must always have more pressing priorities and scarce resources. But to let Ashburton become a ‘convenience store’ (as SR reports)? Years ago, when branches closed, all the Tescos and Morrisons swallowed up the land vacated by them. But are we not more conscious nowadays of what we have lost? Can we save this station from this ignominious fate for posterity and maybe even future trains? Is there no-one out there who can find the money to buy out the developers? Can the SDR be persuaded to take another look at how they can play a part in saving it? Our community can achieve extraordinary things when it sets its mind to it but there are so many battles to be fought and we can’t save everything. Are we up for this particular fight? in the hope of more signatures before the 12th December when it will be presented to DNPA.